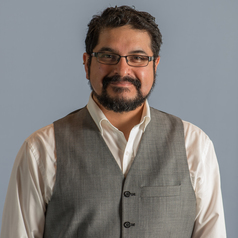 Dr George Aranda is a former cognitive neuroscientist who has moved from the world of brains to science education research and science communication. Now researching and teaching at Deakin University, he has broad interests in writing, social networking modes of communication, podcasting, science communication videos and understanding how scientists and their work are perceived in the world. He is also interested in how science books can be involved with science engagement. He has been conducting research into science book clubs, he runs Big Ideas Book Club in Melbourne and is the curator of Science Book a Day.